Blogging is not a very recent thing, not even in India, the term blogging comes from the term Web Logging, later was the term coinekd as Blogging. Blogging wasn’t always a trendy thing, later it came in to be something a bit more interesting. People started blogging about travel and food at first, telling about the things they were passionate about. After that it turned into a big income generating source. In today’s date people don’t just generate income from blogs by selling their products or services but more things such as affiliate marketing and Google AdSense come into play and help the bloggers. How to Go About Things? Bloggers First pick up a niche, the type of things that they want to write about, later they pick up micro niches and all these help in generating traffic for their blog. In order to have a successful blog the bloggers need to know that when working online, Content is King’ and it is what will make your blog run well, apart from that more things such as doing an effective SEO of your blog too is really important. Every blogger needs to have some knowledge about Digital Marketing. When Compared to the World, India is a bit late to enter the Blogger sphere as not even 10 years back there were just some blogs online, but today there are a great number of bloggers whose blogs are doing really well and have made them very Rich. One such blogger is Mr. Anup Prasad, who has been a blogger since more than 10 years. Hailing from Assam, the CEO of Digital Technology Institute has written over a thousand niches and earns more than three lakhs from his blogs. In India, there is a huge scope for Blogging. With Prime Minister Narendra Modi launching the Digital India campaign in 2014, India too has seen a spike of growth in the number of people in the Bloggersphere. What is even better is that to be a blogger, or in other words, in order to earn in lakhs, the investment required is nothing. One can start a blog even for free, using WordPress or other CMS or domains. Once your blog is started and running successfully, other companies can even advertise on your blog that would also give your blog an extra source of income. Unlike in offline marketing or offline groups, when working as a blogger you can rest assured for an immediate feedback. You will know if your blog is working well or not. This helps building networks, meaning there are a lot of people, the same as you work on the same niche that could help you further in the same field as yours. 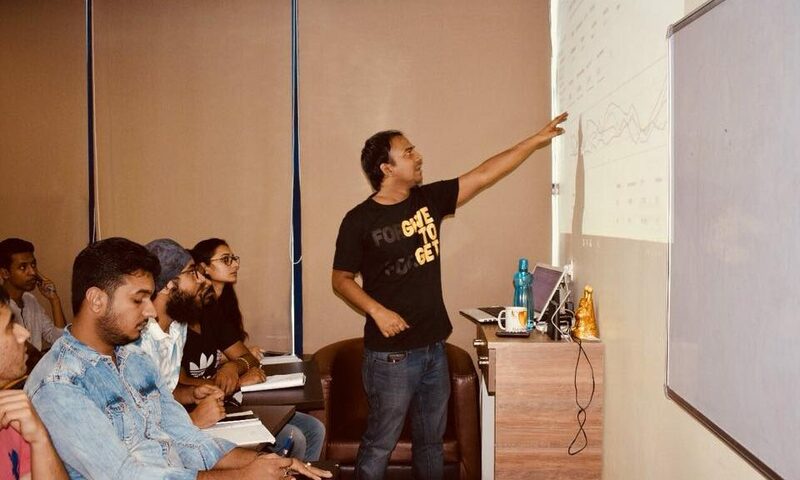 This was all but just a tiny glimpse into the world of blogging, To know more about blogging and other digital marketing methods and methods, enroll at Digital Technology Institute, New Delhi.